Soft kitty warm kitty. 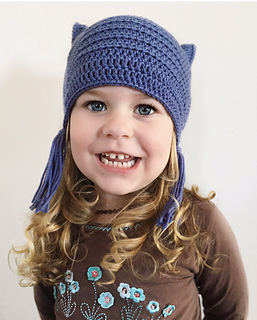 The Purrrrfect hat to keep your little person warm this winter. 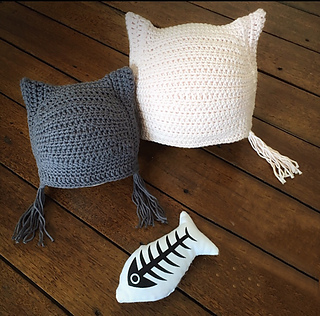 Designed and hand crocheted in Australia by Mel Harrison of Pixie Noggins™. Made from DK/8ply yarn, available in 3 sizes. Finished hat fits 40-44cm head size. Finished hat fits 44-46cm head size. Finished hat fits 46-48cm head size. Fit: Soft Kitty is made to be a fitted yet generous comfortable fit thanks to the gusset shaping. The ages and head sizes given are an indication only, if your child is smaller or larger than the average child in their age range please make the next size up or down. 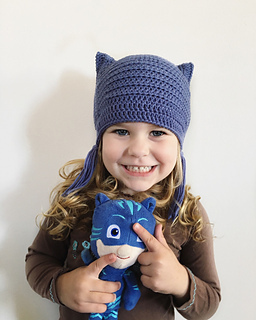 Crochet by nature creates an ‘elastic’ garment so you may find your hat fits for longer than the age ranges/head sizes given. Yarn: 8ply/DK weight yarn of cotton, wool or a soft blend. Approx. 100-130m of 8Ply Suggested brands: Lincraft cotton, Bendigo Woollen Mill cotton, Cleckheaton Suoerfine merino. Hook: Size 4AU/G6US/8UK or whichever you need to achieve gauge. 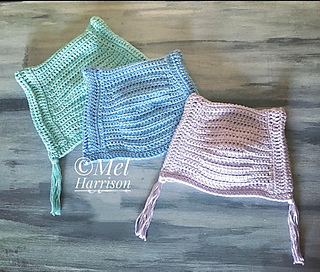 CFhdc: Chainless foundation half double crochet. This particular pattern has been sent to testers to ensure it is correct. You are welcome to sell hats made from this patterns. 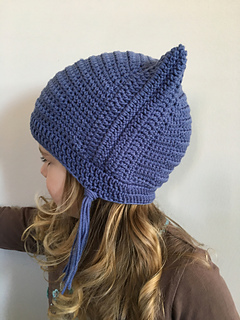 It would be lovely of you to credit me as the designer and add a link to purchase my pattern in your sale. Please note my patterns and my images are copyright protected, please do not use my images to sell your bonnets.